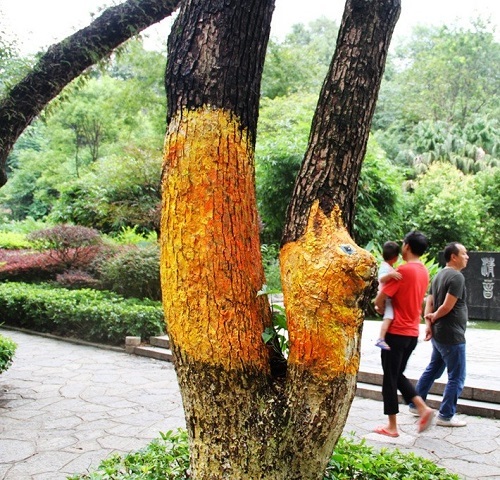 Chinese street art which has recently appeared in the city of Guilin, south China, Guangxi Zhuang Autonomous Region, would be better called tree graffiti. 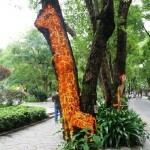 On the trunks of local tress appeared realistic animals, which look like living creatures – crawling, climbing, and simply resting on the tree trunks and branches. 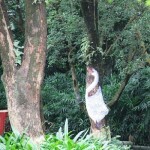 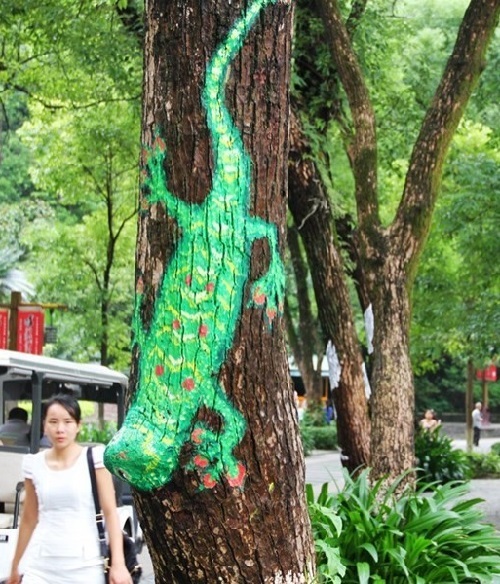 Nature and animals have become the main inspiration for unknown street artists in the Chinese city of Guilin. 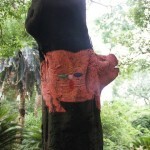 Besides, each painting is a unique composition constructed in accordance with the form of trunks, with great sensitivity to their shape, texture, and growths. 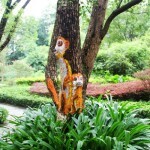 More than 20 trunks got their own animals, and strolling through the park you can find Lifelike tigers, zebras, lizards, giraffes, and so on. 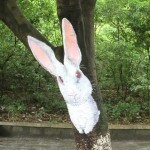 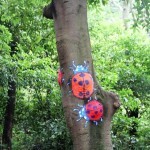 Some animals and insects painted of a larger size to be seen by passers-by. 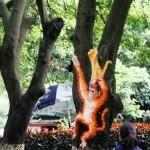 If you are not lucky enough to see a live squirrel in a tree, you may enjoy this funny large squirrel, painted by an unknown artist.